Last year we saw a big shift in volatility fuelled by significant economic events. Will the volatility hit big again? How can you protect your portfolio when the market churns with unpredictable actions? This was a main topic of TRADESTATION – CME WORKSHOP. 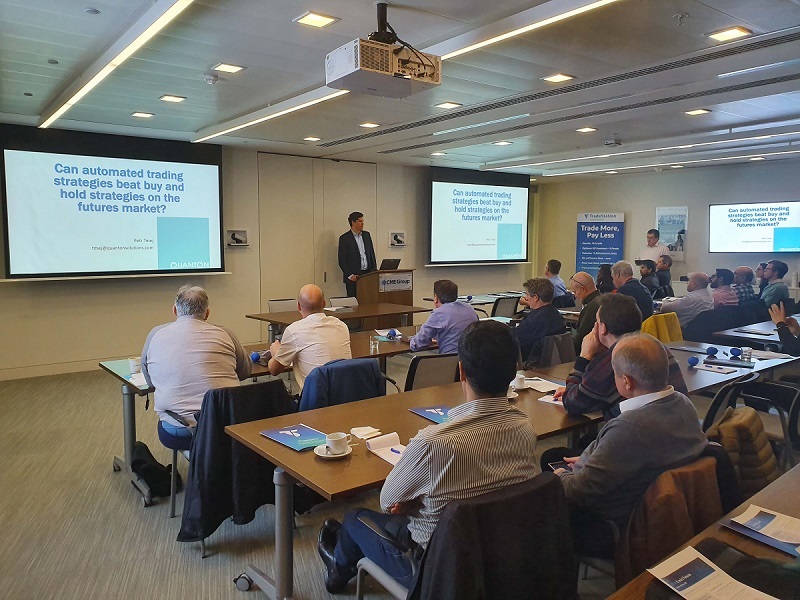 The workshop took place in London, 14, March 2019. Petr was also invited there as a speaker. Changing market volatility provides opportunities to create automated trading systems which can beat buy and hold strategies. Identifying these opportunities, applying strategies, and understanding what a robust trading system actually means were some of the topics that were discussed in this presentation. If you would like to attend a next TRADESTATION – CME WORKSHOP, which should take place in June, let us know and we will tell you when it will be possible to register there.